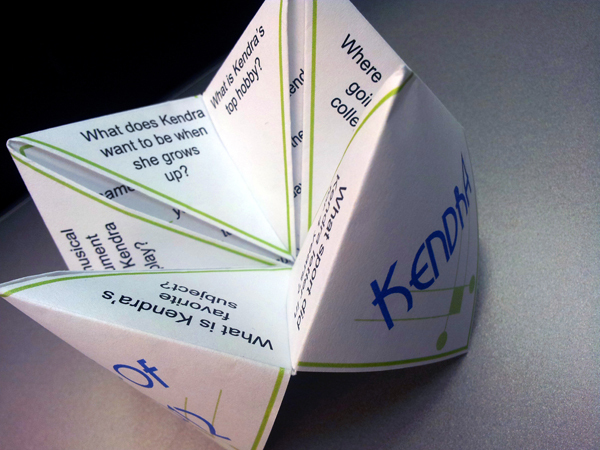 Back in elementary school, the girls would sit around and make cootie catchers to play with in class. They would have colors and numbers and questions and such that would ultimately tell us what boy we were going to marry, what color our wedding dress would be, how many kids we would have, etc. Young girl fun. I’ve adapted the Cootie Catcher for table favors of sort for a graduation party. 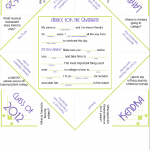 On the outside of the Cootie Catcher, I placed my daughter’s name, school, graduation date, and “Class of 2012”. I used the Greniader Font from searchfreefonts.com. I also used an Art Deco Corner Photoshop Brush created by 4sidepolygon and downloaded from brushesdownload.com. On the first open of the cootie catcher, you see 8 trivia questions. Those are in black with an Ariel font. Once you lift open the flaps, the answers are available in a blue-purple Ariel font. Mad Libs (from ad lib, a spontaneous improvisation) is a phrasal template word game where one player prompts another for a list of words to substitute for blanks in a story, usually with funny results. 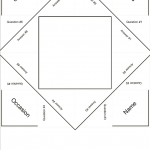 The game is especially popular with American children and is frequently played as a party game or as a pastime. 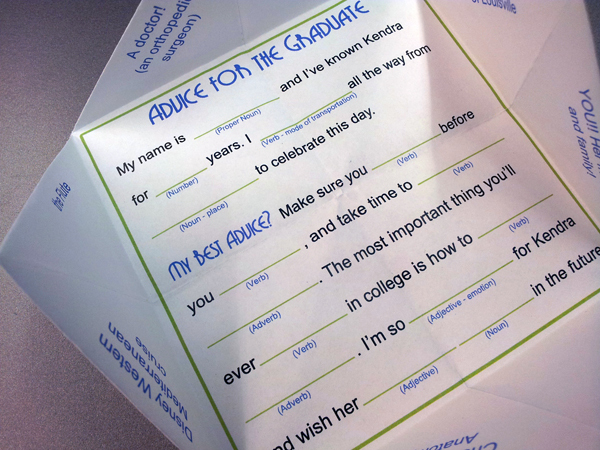 I’m using this type of template to allow party guests to leave “Advice for the Graduate”. We’re going to read them out loud and the best one gets a prize. 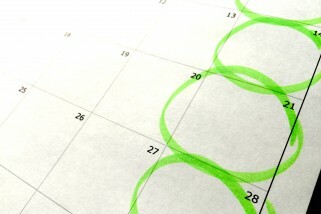 You may be thinking – “Hey, that’s really cool. How can I make one? Well, because I’m super cool and love to find templates to use online, I’m going to post my template. I’m posting a blank and my final design. I may throw up my own tutorial later, but for now, go to Martha Stewart Weddings for good instructions.